Whether you’re young or old, rich or poor, married or single, you should be working to achieve your ideal estate plan. For many, this plan will include a trust. After all, trusts help people accomplish a number of goals including preserving assets, avoiding probate, and minimizing taxes, and there are a wide variety of trusts from which to choose: revocable and irrevocable, Special Needs Trusts, Irrevocable Life Insurance Trusts, and many others. Married couples might be interested in a particular type of revocable trust known as a Qualified Spousal Trust. So what is a Qualified Spousal Trust? Let’s find out . . . In August, 2011, Missouri enacted new legislation allowing married couples to create what is, in many ways, a revolutionary kind of trust – the Qualified Spousal Trust (QST). Under this new law, married couples are permitted to transfer “tenancy by the entirety” property, or when the law was subsequently amended, even “joint tenancy with right of survivorship” property, to a Qualified Spousal Trust, with the result that the property retains the same (or perhaps better) immunity against creditors as before the property was transferred. With this creditor protection benefit, Qualified Spousal Trusts have, for good reason, become extremely popular with married couples. To understand the full benefits of a Qualified Spousal Trust, it is important to know about “tenancy by the entirety” property. Tenancy by the entirety is a special form of co-ownership of property available only to married couples, and it can used with regard to almost all kinds of property, including real estate, shares of corporate stock, interests in limited liability companies, bank accounts, vehicles and more. In simple terms, tenancy by the entirety property is owned by the marriage itself, and not by the spouses individually. Consequently, if one spouse is facing a judgment or other liability, tenancy by the entirety property is generally beyond the reach of the creditor (on the other hand, if both spouses are facing the same potential judgment or other liability, the creditor generally can pursue tenancy by the entirety property). Upon the death of one spouse, tenancy by the entirety property becomes the sole property of the surviving spouse. Tenancy by the entirety property is often confused with, and compared to, another form of shared ownership known as “joint tenancy with right of survivorship.” Joint tenancy with right of survivorship is not limited to married couples, but instead can generally be utilized by any two or more people who share ownership of property. Thus, this form of ownership is often used where property is co-owned by siblings, friends or even strangers. Upon the death of one co-owner of joint tenancy with right of survivorship property, the property passes to the remaining co-owners. Unlike in the case of tenancy by the entirety, however, joint tenancy with right of survivorship provides no protection against creditors. Consequently, a creditor of any one co-owner of joint tenancy with right of survivorship property can generally pursue and obtain that co-owner’s share of the property. Before Qualified Spousal Trusts became an option, many married couples created separate “his and her” revocable trusts for both estate and tax planning purposes. However, separate revocable trusts don’t provide much, if any, asset protection. Thus, married couples were often put in the unenviable position of choosing between using separate revocable trusts to accomplish their important estate and tax planning objectives, or leaving their assets in their names as tenancy by the entirety property for creditor protection purposes. While this dilemma was of concern to virtually all married couples, it was particularly troublesome to married couples where one or both spouses faced heightened liability exposure (for example, small business owners). Fortunately, the Qualified Spousal Trust provides those conflicted couples with the best of both worlds: the estate and tax planning benefits of a trust and the creditor protection provided by tenancy by the entirety ownership. A Qualified Spousal Trust must be created by both spouses. Depending upon the specific terms of the Trust, it can be amended by one or both spouses, and may be revoked by either spouse. For tenancy by the entirety property transferred to the Trust, the same creditor protection enjoyed prior to the transfer continues to apply to the property after the transfer is made. Furthermore, even joint tenancy with right of survivorship property (which generally has little creditor protection while owned by two spouses) is, once transferred to the Trust, given the same creditor protection provided to tenancy by the entirety property. As a result, it may well be that a married couple’s protection against creditors is not only maintained by using a Qualified Spousal Trust, but actually improved. A Qualified Spousal Trust is not restricted to tenancy by the entirety property and joint tenancy with right of survivorship property. Property which is owned solely by one spouse can also be transferred to a Qualified Spousal Trust, and that is often done in order to avoid the need to probate the property when the owner-spouse dies. However, such separately owned property of a spouse will not receive the same creditor protection given to tenancy by the entirety property or joint tenancy with right of survivorship property (as discussed above). In short, a Qualified Spousal Trust neither improves nor diminishes creditor protection for the separately-owned property of a spouse. In summary, a properly drafted Qualified Spousal Trust provides a remarkable solution to the historically vexing problem faced by married couples in seeking to balance their creditor protection needs against their estate and tax planning objectives. Rarely does the law provide such a “best of both worlds” answer, and this unique option should not be overlooked. Are you interested in creating a Qualified Spousal Trust? If you live in or near Springfield, Missouri, contact the attorneys at Carnahan, Evans, Cantwell & Brown. 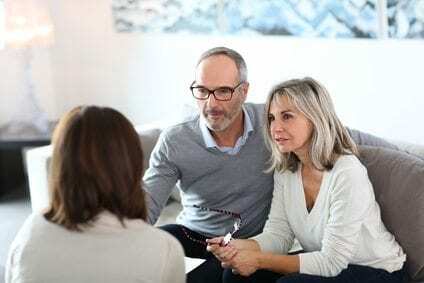 We offer a variety of estate planning services and products, and we would be happy to help you decide which options are best for you and your family, from basic wills and powers of attorney to revocable and irrevocable trusts. For more information, please give us a call at 417-447-4400. We look forward to hearing from you!